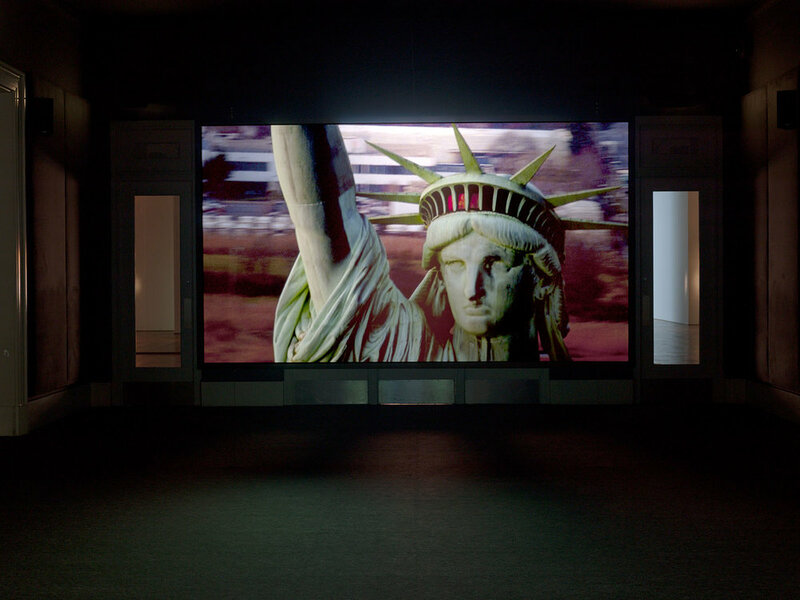 Startling images and overwhelming sound define Mr. McQueen's video work, but he wanted no barriers between displays with this doorless, short-lived exhibit. To keep order, each display room had a winding entrance shaped and finished to contain the mayhem within. Each room was then individually tuned with panelized bass traps, diffusers, and batt absorption, all clad in dark gray fabric for a disciplined interior offering no competition to the display itself. Finally, loudspeakers were placed and each audio system was calibrated to its specific environment.